Servicing the Towns of Greenville, Harford’s Point, Big Moose Twp., & Moosehead Jct. Twp. 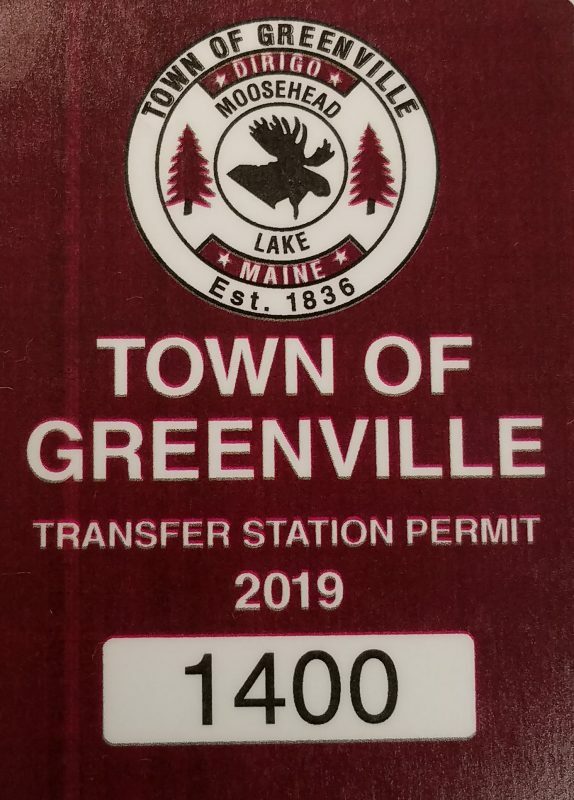 You need to have a 2019 Transfer Station Sticker issued by the Town of Greenville to access the Transfer Station. $5 per 55 gal. orange bag, once full they may be placed into the CDD dumpster at the Transfer Station. (You only pay for the bag once, there is no additional disposal fee.) Available at the Greenville Town Office & Transfer Station. To access the Greenville Transfer Station you must have a Greenville Transfer Station Sticker which you can get at the Greenville Town Office or Transfer Station. Users of the transfer station will be able to purchase a bright orange trash bag at the Greenville Town Office or Transfer Station into which CDD may be placed, or you can pay per pound for bulk loads. Construction Demolition Debris (CDD): Roofing materials, pressure treated wood, rugs, furniture, large plastics, etc. Metals/Whitegoods: Freezers, refrigerators & air conditioning units must be placed in separate storage piles and kept upright. The Town of Greenville or its agent (contractor or contractor’s employee for the operation of the landfill) reserves the right to inspect any containers or bags brought to the Transfer Station. If any of the below recyclable materials are found, they will not be accepted at the Transfer Station. All of the below materials will be accepted at the Recycling Center, which is open during the same hours as the Transfer Station. Any bulk waste brought by truck or dumpster may be inspected to ensure these recyclable materials are not included. If they are, the contents of the container will need to either be removed from the Transfer Station, or sorted on-site and the recyclable material removed from the Transfer Station. Plastics: (Please Wash) Milk Jugs, #1 & #2 plastics. Sorry we do not except Plastic Bags! Mixed Paper: Junk Mail, Envelopes, Photocopies, Cereal Boxes, Egg Cartons, Paper, Cardboard Shoeboxes, etc.